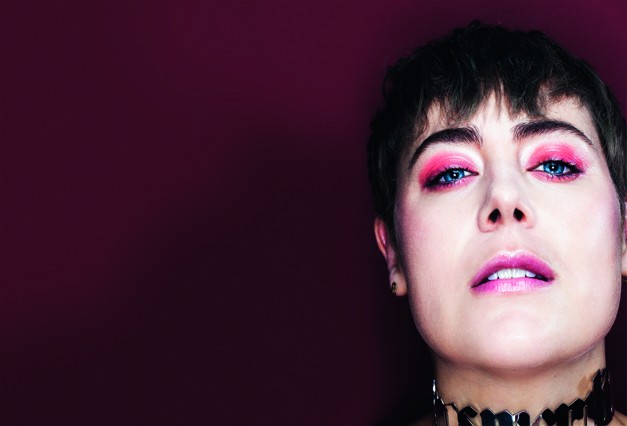 DJ Mag is squished into a smoke-filled Green Room at the back of ultra-cool Parisian nightclub Showcase, chatting to LOUISAHHH!!! (real name Louisa Pillott) before her set. It’s 3:45am and the walls are shuddering with reverb from the club’s main room — it’s almost time for Louisa to begin. Outside, the dancefloor is sticky with the sweat of 500 ravers, who are crammed into the club’s central alcove as we chat, bodies packed against the stacks, hands reaching skyward. The noise in the historic, stonewalled room is close to deafening, as a booming 4/4 kick rebounds off the 17th century bridge archway under which the legendary club is nestled. Bromance boss Brodinski is at the helm, puffing on a cigarette whilst spinning a set of broken techno and eclectic French hip-hop — we’re in Paris, after all. The thunderous racket is swelling at the peak of every drop, as the crowd begins to whisper over and over a single name. The chant gets louder as soon as they spot her: “Louisa, Louisa, Louisa,” they bellow in an impressive unison. 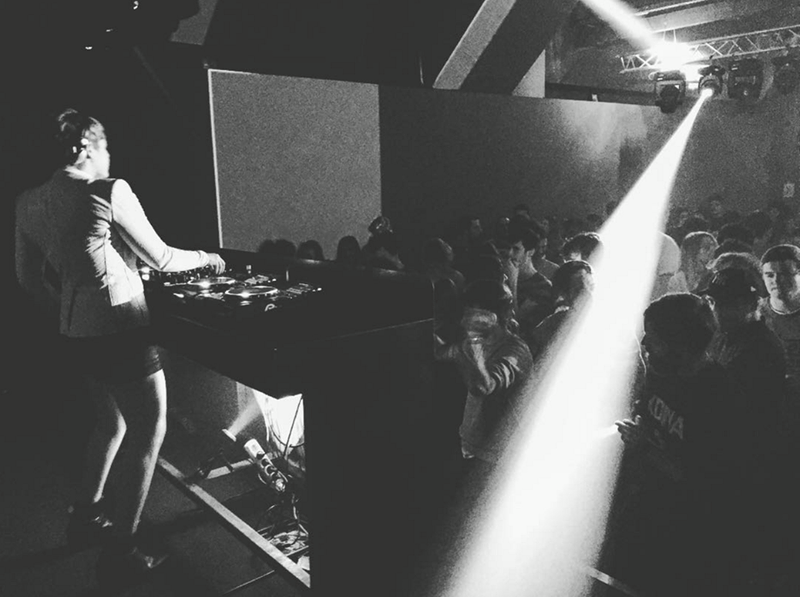 DJ Mag’s watch clicks 4am and Louisa takes the stage — there’ll be no more hip-hop from this point on. USBs plugged and the bass begins to punch from the Funktion 1, as Brodinski’s stuttering beats liquefy into a soup of razor-edged techno and slick metallic sonics. Later, back in the Green Room, a bleary-eyed Brodinski turns to DJ Mag and says: “You know, the very best thing about Louisa is that she really has no idea how good she is.” A beaming, sweat-soaked Louisa appears shortly after — a vision of confident enthusiasm and unforced humility. “Thanks for sticking it out,” she says, smiling. As if we’d have had it any other way. On the way to the exit we take a detour to Showcase’s riverside courtyard — a must-do according to seasoned Parisian clubbers. When we make it out, we see what everyone’s been talking about: there’s an elegant view of the glittering Eiffel Tower as the sun rises gently over the Seine. As its gold lights bounce softly off the water, it’s not tough to tell why Louisa, a born-and-bred New Yorker and all-American gal, moved here — if only for the view alone. But there’s so much more to Louisa’s story than your typical ‘American In Paris’ tale. This is a journey of discovery, recovery, persistence and patience that charts a ten-year rise from both sides of the Atlantic. Wise beyond her years, Louisa has lived a lot: she’s battled addiction, entertained thousands, and moved across the globe — all before the age of thirty — whilst crafting clever club music that really resonates. It’s her overwhelming positivity (fuelled by her self-designed spiritual practice) that’s kept her on the up — when you meet Louisa, her energy is infectious. Back at the hotel, she shoots us a text to say thanks for coming: ‘Thank you so much for travelling to dance with me,’ she writes. 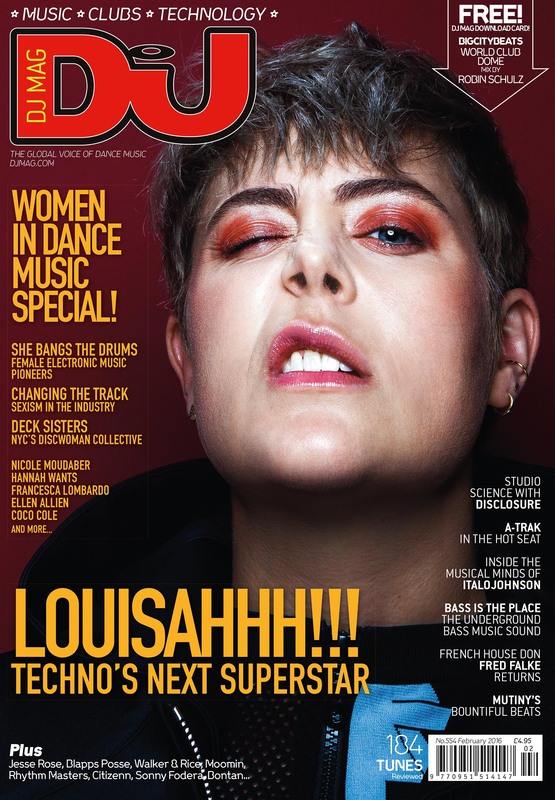 But dancing isn’t all DJ Mag is interested in, we’re excited to peel back Louisa’s layers to discover what really lies underneath — to find out the nuts and bolts behind what’s made LOUISAHHH!!! one of techno’s most talented and beguiling entertainers. When we first meet Louisa Pillott in Paris she’s on tour, a part of the Bromance winter DJ jaunt alongside Brodinksi, Panteros666 and several others. They’re mid-way through their whistle-stop European leg that’s seen them hit Lyons last night, Paris tonight and Amsterdam tomorrow. Luckily, Louisa is a Paris local — though she still describes her French as “really terrible”. We’re holed up in a photo studio in Paris’s 10th district, the final destination of a rather dodgy walk through several dimly-lit back-streets and down a creepy Hitchcock-esque corridor. Inside, a cat sleeps on a stool next to a smouldering ashtray, while the photo team retouches images, pausing occasionally to talk at light speed in French. Perched aside the window, a fresh-faced Louisa is looking serene, as the lights of Paris’ skyline twinkle outside in the closing dark. It seems like an apt moment to ask how it all began — Lousia’s charmed Parisian life that is, perhaps not the easiest city to live in for a native New Yorker. 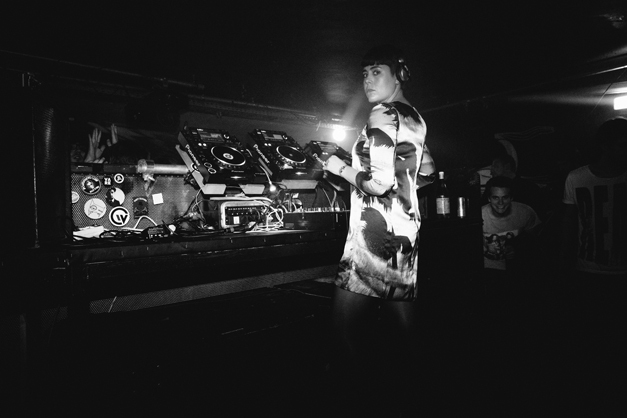 “Well, it was after I’d done a track with Danny Daze, actually,” Louisa explains. 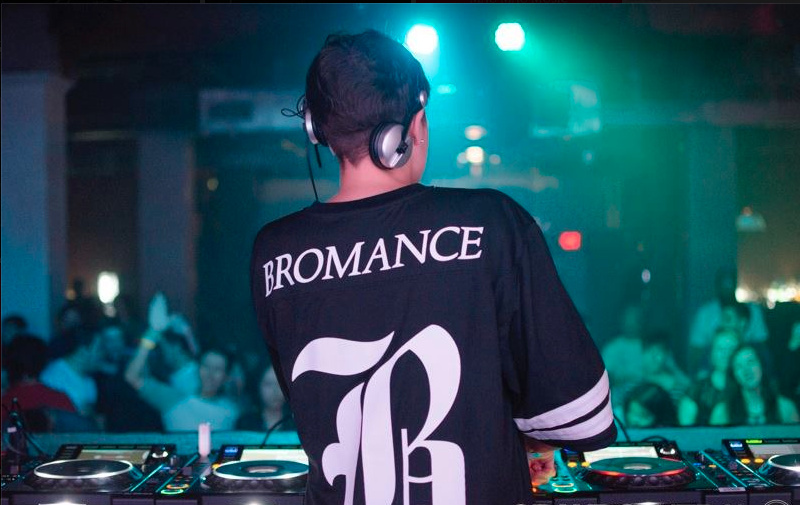 “Louis (Brodinski) was starting Bromance at the time — this was back in about 2010. It’s always been a really organic friendship between us. So he came to me and he said...” She pauses to put on her very best faux French accent. “‘Louisa, I just want a track called ‘Let The Beat Control Your Body’, and I was like, ‘Uhhh yeah okay, okay, fine’.” She rolls her eyes, then smiles mischievously. “I just thought it was really silly at the time, the song I mean, but it turned out to be quite big. So after that, Louis (Brodinski) was like ‘In order for us to really work together you need to move to France’. So that’s how I ended up here...” she trails off. Despite Brodinski’s pleas for her to relocate, Louisa’s French musical journey did not begin in Paris. When she arrived she found herself in the small southern town of Nantes — the home of producer and now long-time collaborator, Maëlstrom. “I kind of just turned up on his doorstep one day,” she says, of how the pair’s friendship began. “We hung out for a week, having never met before, and ‘Transcend’ was the result,” she explains. The ‘Transcend’ EP that dropped via the Bromance imprint in 2013 was well received; it’s an absorbing, deep house two-tracker consisting of ‘Tap My Wire’ and ‘In My Veins’. 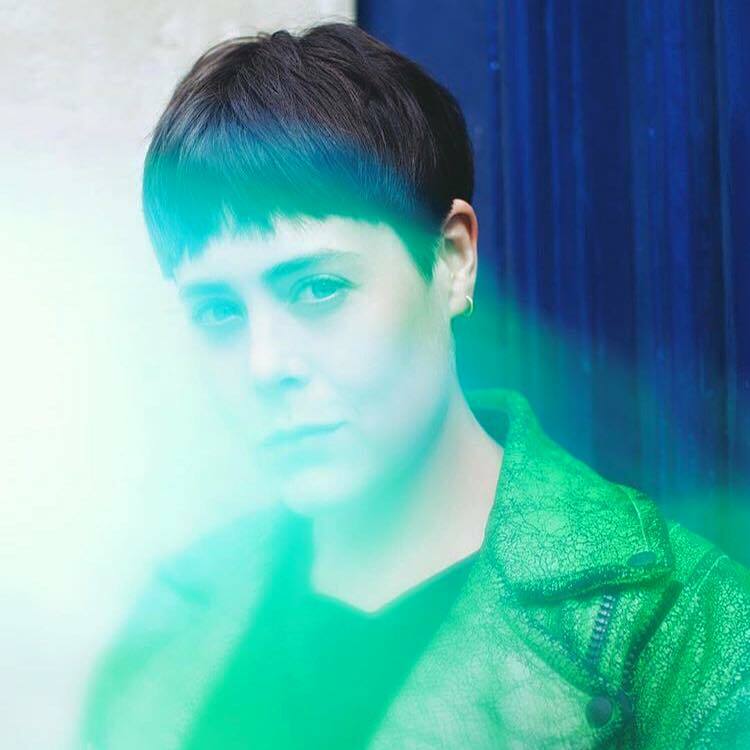 Both are far ‘housier’ than Louisa’s current sound — when we see her play in Paris, she’s spinning strictly nosebleed techno. 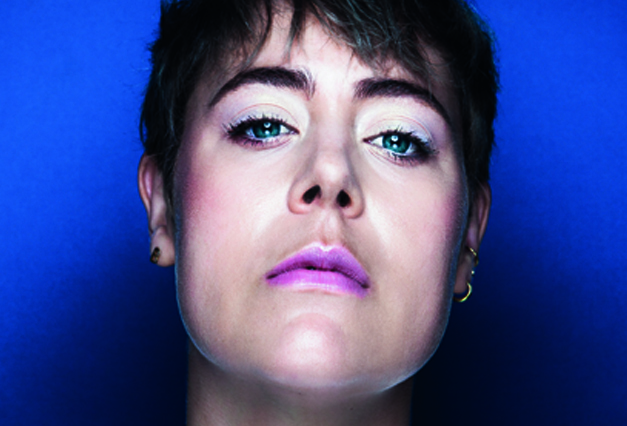 It’s Louisa’s voice that ties each of her releases together — her icy, hypnotic vocals permeate everything she makes. They also make her music instantly recognisable — when her words ring out in a club, everyone’s ears instantly prick. Later that evening, her performance at Showcase is no exception — she peppers her set with music of her own making. She’s also spinning deftly across three decks from the start, fluidly riding the channels as she flirts with multiple tracks and spangled, warping delays. Acid techno drips from the inputs as glistening faces push themselves hard against the booth’s glass barrier — people are simply desperate to get close to her. “It’s just the night/Under my skin.” Louisa’s own voice trickles off the walls at the close of the set — it’s the vocal lick from ‘In My Veins’, used to maximum effect. The reaction to the track is nothing short of ballistic — everyone in the room knows the words. As the mostly French-speaking crowd sways googly-eyed and gurning to the sound of Louisa’s titanium-coated chant, it’s clear her melodies are universal. “I think it’s very evident that while you’re only a DJ, people will call on you to play other people’s music, to play what the party requires,” she says in her softly spoken New York twang after the set. Looking in from the outside, Louisa’s life seems blessed. With a slew of successful EPs under her belt, she’s respected by her peers, loved by fans and a total media darling — when we meet, she’s just wrapped simultaneous features for Glamour magazine and FACT. It’s Louisa’s transparency that makes her such an appealing interview candidate, DJ Mag feels like there’s no question the producer couldn’t take gracefully in her stride. In Paris, it’s her ongoing sobriety that Louisa is particularly keen to discuss — she’s been clean from drugs and alcohol for nigh on a decade. It was in New York that the then teenage Louisa was first exposed to the excesses of club culture, though it was dance music’s “community vibe” that she says helped her feel “less like a weirdo”. “When I was first going out... I’d go to this party called Mishapes in early 2004 and I first went with this guy I met on MySpace, I know it sounds like the beginning of a horror film,” she laughs. “Anyway, Sneaky Pete from MySpace took me to Mishapes and I remember feeling like, for the very first time, that I’d found my people. I’d found my tribe. I was always a weirdo in school, especially high school. I was like, ‘Urgh, when will this be over, this is so terrible’,” she sighs. Describing herself as a “control freak”, a young Louisa found much of NYC’s club scene dissatisfying to the point where she wanted to control the vibe herself. “I started DJing because there were no real clubs in my area,” she says. “I mean, some in the Meat Packing District but no one was going there because they were filled with douchebags. There were loads of terrible bars that lots of my friends worked in and I decided it was really important that I be the selector.” She pauses for a moment to chuckle. It’s tough to imagine Louisa ever being a fan of mid-noughties indie-dance music, but the producer insists she was infatuated with DJing no matter what the style. It’s her love of selecting that’s helped her maintain her sobriety, despite a crippling cocaine and alcohol addiction that saw her committed to rehab aged only twenty. “I was young when I went in, and I knew it was something that I wanted to do, but it was also really scary for me. I mean, it was like prison in there,” she recounts. When she eventually resurfaced, Louisa’s devotion to life as a DJ was cemented — much to the dismay of her loved ones. “I think there was concern, especially by my parents, that music would trigger me. They pretty much begged me to do anything else,” she recalls, solemnly. If playing music gave Louisa a reason to carry on, the perils of her addiction most certainly fuelled her creative fire. The messages in Louisa’s music are straight up, most of her songs hint at a sense of struggle or rebirth — this girl sings about things she knows. “Protect me (can’t stop), from what I want (can’t stop). Reflection, destruction, you want some? Protection, seduction, contain me,” she whispers eerily on techno slammer ‘Protection’ (a track she made with Maëlstrom for Bromance compilation ‘Homieland’), her tone slightly obscured by juddering FX. Despite Louisa’s American roots, her sound is ostensibly European — her brand of techno bangs just as boldly as any of her contemporaries coming out of Berlin. It was after a particularly disastrous gig in Miami that Louisa decided it was finally time to export her sound — she went in search of a more educated audience. “I’d moved to France in February 2011 and I’d played that New Year’s Eve at this party in South Beach. I think I played about three songs before I got kicked off.” She pauses just long enough for DJ Mag to let out a gasp. “Yeah, I know, right?” She throws her hands up. “And I was playing all vinyl at the time, too. I was like, ‘What do you expect me to do?’ and the promoter turned to me and said, ‘Excuse me, this is New Year’s Eve in South Beach, why are you playing these weird dumb records?’” She stops to let out a proper belly laugh. “Basically, I was kicked off for not being mainstream enough. I was actually really hurt by it — that feeling incapable of being the kind of artist I wanted to be in my own country. I think that was when the offer to go to France came. It felt right, time for a change, and being sober had a lot to do with that too,” she finishes. Rather than a tale of sorrow or regret, Louisa’s stance on her recovery is admirably balanced — her unbridled positivity seems to seep into everything she does. “It’s amazing to think that I have been able to do this sober, but also that I’m doing this because I’m sober,” she smiles. “To be honest, in some ways, I feel like my gender has really worked for me,” Louisa says, matter-of-factly. “I’m not sure if I would be where I am now if I wasn’t female, because if you’re a woman in this job and you’re good at it, perhaps you have an elevator, whereas dudes need to take the stairs.” She stops, and stares directly at DJ Mag. “When people ask me: ‘Hey, what it’s like to be a female DJ?’, which they do a lot, I just tell the truth. I say, ‘Yes, it’s challenging. It’s not constant discrimination, but there does need to be change. I think the solution is about creating an environment where there’s no concept of ‘less than’ for girls.” Club owners and promoters are often lambasted for the lack of women on their line-ups — it’s blindingly obvious to even a casual observer that most club and festival bookings are dominated by men. Ironic, when you consider that festivals in the UK actually attract more females than males — the split is 56% females vs. 44% males, according to Ticketmaster’s 2015 State Of Play poll. Promoters have long argued that there’s simply far less female DJs to choose from, though Louisa insists the age-old “supply and demand argument” is out-dated and ridiculous. 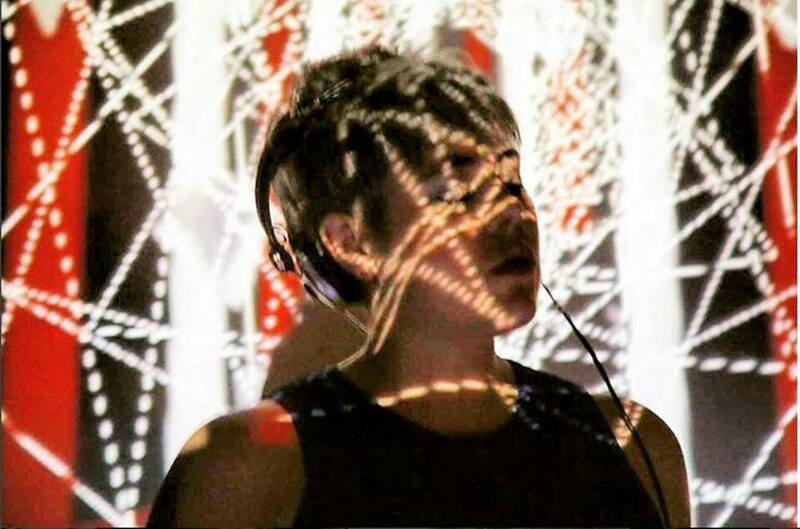 “The excuse that there’s not enough women making electronic music is no longer valid. In my top 10 favourite producers right now, five are female,” she says, clasping her hands together. According to Louisa, the key to progression is dialogue, something that outspoken female artists are helping to promote. She’s joined by a raft of other strong women offering up thoughtful commentary on the issue, think: The Black Madonna, Paula Temple and Umfang, the head of all-girl NYC DJ collective, Discwoman. “I love The Black Madonna too, basically because she takes the stance that just because you haven’t been specifically affected by this problem, doesn’t mean it’s not a problem. I think that’s a really important thing for me to keep in the back of my mind, because it does get tiresome being asked what it’s like to be female all the time,” she shrugs. After spending a short while in Louisa’s world, it’s clear she puts careful thought into everything she does. She describes herself as “spiritual”, even though she says she doesn’t follow any kind of orthodox structure — her attitude to life is overwhelmingly zen. “I have this moment often when I’m playing, I feel it in my hands. This moment of unconditional love and communicating that, that’s the path forward for me — that’s the gift,” she smiles. Louisa’s spirituality might just be the key to ongoing success. She’s incredibly unaffected by her achievements thus far, and excited for what’s coming next. “I feel like the only reason I get to do this job is because of God — I really hope that doesn’t alienate people, but I feel like I’ve become a channel of something,” she says finally, as we leave Showcase’s Green Room at a fuzzy 7am. The February issue of DJ Mag UK is on stands now.